MIAMI, Feb. 19, 2019 /PRNewswire/ -- For many people looking for a convenient and affordable way to take a great vacation, a favorite option is a cruise to the Caribbean. Year after year, consumers from around the world have made the Caribbean the world's most popular region for cruising. The reasons for the Caribbean's legendary status as a go-to option for cruise vacations are many. For one thing, many people can drive in a few hours to one of more than a dozen port cities in the U.S. to board a cruise ship and be whisked to the islands. That's a major convenience that also saves on the cost of air travel. For another, compared to similar land-based vacations, going on a cruise is a deal, often up to 40 and even 50 percent less expensive when factors such as lodging, meals, transportation and more are considered. And of course, there is something very appealing about the Caribbean, renowned for its always welcoming warm climate, breathtakingly beautiful scenery and relaxed island vibe. On Caribbean cruises, you escape to a place where the sky is bright blue and the sea is crystal clear. It is relaxing and invigorating, calming and energizing, all at the same time. Dig deeper and you'll also find an alluring history of Europeans, Africans, pirates, rumrunners and the Native Taino. Friendly locals willing to share their culture make a Caribbean vacation even more rewarding. "The Caribbean is a beautiful area with lots of natural beauty that is very much shaped by its history," says Karlijn Verpalen, the Explorations Center (EXC) Guide on Holland America Line's 2,666-passenger Nieuw Statendam, the newest ship in the Caribbean. Verpalen, whose job is to provide expert advice, says the first question guests often ask is, "Where's the beach?" That's an easy question to answer, as the Caribbean is home to many spectacular beaches. But as she talks about what the Caribbean offers, she says guests often want to explore further – whether they are first-timers or among the millions of repeater cruisers. In the Caribbean, there are attractions for the curious, those who want to learn and gain knowledge about the area. "Or just enjoy the fun in the sun, with or without a rum drink," Verpalen says. "That is okay. You should do whatever you feel most comfortable with. That's another reason our guests love the Caribbean. There's a lot to see or do. Or if they want to simply kick back, the Caribbean is a perfect place to relax and recharge." Caribbean cruise vacations appeal to people of all ages and from all walks of life including families looking for an affordable way to spend quality time together, solo travelers and couples seeking romance, with pricing available for most budgets. According to the Cruise Lines International Association, 30 million people worldwide are expected to cruise in 2019. Many will do so in the Caribbean, where more than 34 percent of the worldwide cruise ship fleet will be deployed. By contrast, about 17 percent of ships worldwide will sail the Mediterranean, the second most popular cruising destination. The Caribbean has more than three dozen destinations visited by cruise ships. One-week itineraries typically call on four or more islands, with longer or shorter itineraries available. On a cruise vacation, you stay on a beautiful ship, wake up to new destinations, and only have to unpack once. Eight brands within Carnival Corporation visit the islands. Carnival Cruise Line deploys 22 of its 26 ships in the region, while Holland America Line and Princess Cruises both have a substantial winter season presence. In December 2019, Princess Cruises will debut its new 3,600-passenger Sky Princess in the region, and by the end of 2019, all guests sailing with Princess Cruises in the Caribbean will be able to enjoy an enhanced Princess MedallionClass vacation through simplified, personalized and engaging experiences. P&O Cruises, AIDA Cruises and Costa Cruises cater to British, German and Italian cruisers in the region. Ultraluxury line Seabourn, with its small ships, calls at ports popular with the yachting set, such as St. Barts. The globetrotting luxury ocean liners of Cunard also stop by. Itineraries explore the eastern, western and southern regions of the Caribbean Sea. Some sail to sultry Havana and other destinations in Cuba. Some spend a day discovering the Panama Canal. 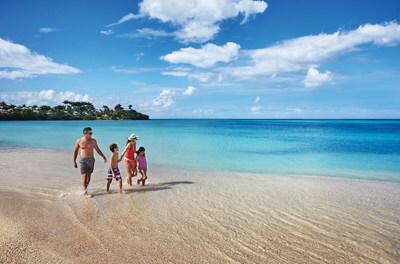 "The Caribbean remains the world's most popular cruising region as it offers such a wealth of experiences – unique dining and cultural opportunities, interesting historical sites, including ancient ruins, excellent shopping and, of course, world-class beaches," says Erika Tache, director of tour operations for Carnival Cruise Line. "There's also the laid-back island atmosphere and locals who graciously share their culture." On a recent sailing of the Nieuw Statendam, a ship that boasts Oprah Winfrey as its godmother, many passengers hit the beach or explored duty-free shopping opportunities in St. Thomas, while others escaped civilization on a small group eco-tourism shore excursion, kayaking mangroves, hiking an uninhabited island and snorkeling past colorful small fish and other marine life. Such nature experiences are never far away in the Caribbean, known as one of the top snorkeling and diving destinations in the world. One of Verpalen's favorite places to explore with friends is Grand Turk. "It's very small and laid back and easy," she says. "We like to rent a golf cart and drive around the island and see where our adventure will take us." Another of her favorites is Dominica. "For me, Dominica is just stunningly beautiful with its lush rainforest and mountains," Verpalen says. In the Bahamas, Holland America Line's award-winning Half Moon Cay and Princess Cays (Princess Cruises) are picture-postcard perfect venues for a relaxing day at the beach – and reserved exclusively for cruise passengers. Half Moon Cay is an uninhabited private island and nature preserve – only 65 acres of the 2,400-acre oasis is developed – with horseback riding and watersports among popular activities. At Princess Cays, a 40-acre private beach resort, guests frolic in shallow water and on long stretches of white sands, with the option of boat excursions to explore Eleuthera. On both islands there is opportunity to luxuriate in private cabanas and villas, with staff at your beck and call should you, for instance, want more ice in your rum punch. Likewise, on islands such as Jamaica and Cozumel, among glamorous experiences are luxury villa day-rentals with a private chef preparing your gourmet lunch. For the knowledge-seeking traveler, a surprise for many is the diversity of history and culture on the islands. Cruise guests have opportunity to experience several distinct cultures in a single voyage. St. Lucia, for instance, changed hands many times between the British and the French, and both left their influences. On the ABC Islands (Aruba, Bonaire and Curacao) and in St. Maarten there's colorful Dutch architecture. In both San Juan and Puerto Plata in the Dominican Republic, visitors explore Spanish fortresses. Martinique and St. Martin show off their French culture. In the Bahamas, a favorite Instagram moment is standing in the pink British Colonial Parliament Square. Different tastes are part of the scene. "The history all comes together in the cuisine, such as Sancocho, the meat and vegetable stew popular on many of the Spanish speaking islands," says Holland America Line's Verpalen. "A Caribbean cruise vacation can be about so much more than getting a tan."